To many, will planning and estate planning are one and the same. While the terms may seem interchangeable, they are actually very different processes. Both provide your relatives with instructions about how your property should be handled after your death, but estate planning goes even further to outline your wishes regarding your health, finances, and more, even while you’re living. An estate planning lawyer can help you determine what type of planning you need and can assist you with creating all of the documents necessary for a comprehensive estate plan that will easily and accurately distribute your property and more after your death. Will planning can be a relatively simple process that involves creating a last will and testament. Your will can dictate who should take care of your children after your death, who should take over your business if you have one, who receives your assets, and other property-related wishes. Your last will and testament will also require the appointment of an executor, who will be responsible for ensuring that all of the instructions left in your will are followed. Creating a will helps your family avoid disputes over your property and makes legal decisions after your death easier. It can also help save them money, because if no will is left, your family will have to pay attorneys and rely on a public trustee to execute your will properly . Estate planning is a more intensive process that uses various types of documents to secure your assets after your death. In most cases, a last will and testament is one of these documents. Additional documents include several that dictate your requests while you are still living. A living will explains the type of medical care you would like if you are unable to speak and provide those instructions yourself. This can include end-of-life care, the use of extraordinary measures, and more. Using a living trust can save your family money and help them make difficult decisions in a time of hardship. Financial power of attorney is a similar designation. It tells a designated appointee how to handle your finances if you are unable to control them. This person will be allowed to make financial transactions, business decisions, and other financial choices in accordance with your own wishes and within predetermined restrictions. This document helps protect your assets and keeps your family financially stable. Other documents can help further secure your assets. A living trust, like a last will and testament, outlines your wishes regarding your property and finances. However, this document is more in depth and can provide additional protection to your most important assets. Beneficiary designations, meanwhile, explain who should receive money from your retirement accounts, life insurance policies, and other savings. When used together, these documents can all create a strong estate plan that supports your family after your death. Estate plans provide your family with a more comprehensive understanding of what you would like done in the wake of your death. This can be particularly beneficial if you have had more than one marriage, own a business, want to donate a portion of your assets to charity, or have specific requests regarding various aspects of your health and property. An estate plan can also be beneficial if you are concerned that your requests might be ignored or that your assets will not be given to the correct people. 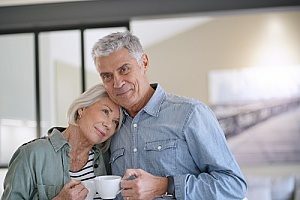 If your children are not old enough or mature enough to inherit your assets upon your passing, an estate plan can establish a trust that will give them access to those assets when they are ready. For some, privacy concerns may be the deciding factor in adding an estate plan to their end-of-life planning. Many of the documents used in an estate plan do not become public record after you die, unlike a will or probate court cases. By avoiding probate, you can save your family time and money while also protecting their privacy and helping ensure that no legal cases will be brought against your last will and testament. Speak with an estate planning lawyer at Odin, Feldman, & Pittleman for more information. Many of the firm’s attorneys are certified public accountants who use their financial and business knowledge to develop custom estate plans for each of their clients. 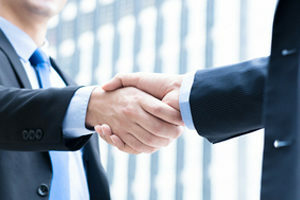 Odin, Feldman, & Pittleman’s estate planning group can assist with business succession planning, charitable planning, family businesses, medical directives, lifetime gifting strategies, powers of attorney, trusts, and wills. 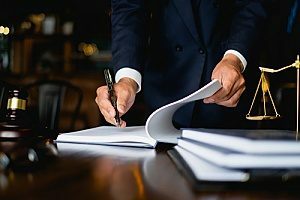 Working with an attorney to create your estate plan can help you secure your family’s future with minimal extra cost or dispute, ensuring that they are provided for according to your wishes after your death.